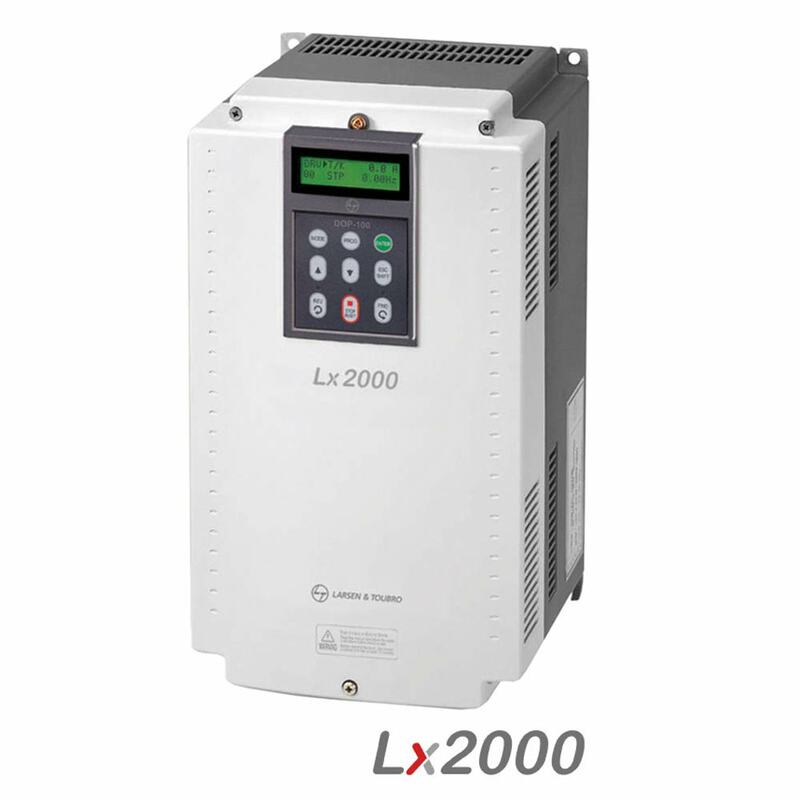 The Lx2000 is designed specifically to add power to elevator performance. 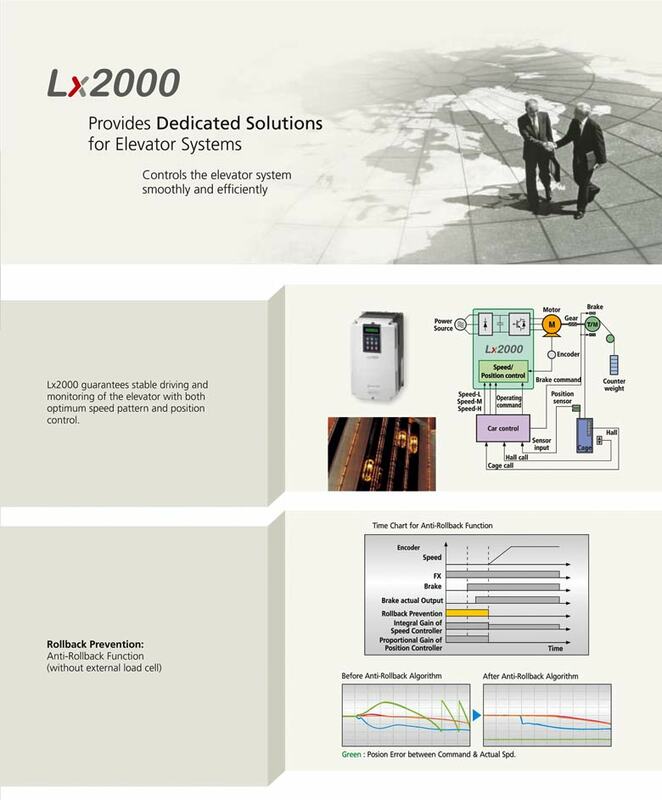 Built to L&T's stringent quality standards, the Lx2000 is tested and certified to meet global benchmarks, thus giving you the assurance of total reliability. 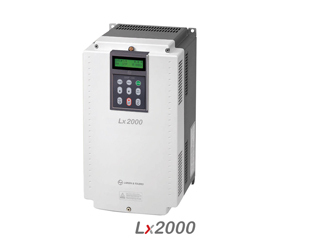 It handles loads up to 45 kW, and is engineered to keep your elevator operating at optimum efficiency, even in the hot, humid and dusty conditions that characterise India's industrial environment. Three Phase 415V - 2.2 to 22kW. Accepts position sensor input ( rid switches etc ). Measures height & stores floor count. Displays floor number, speed in elevator units. Endat encoder (ECN413, ECN1313, ERN1387, ERN487 encoders). Geared elevator – Induction Motor based. 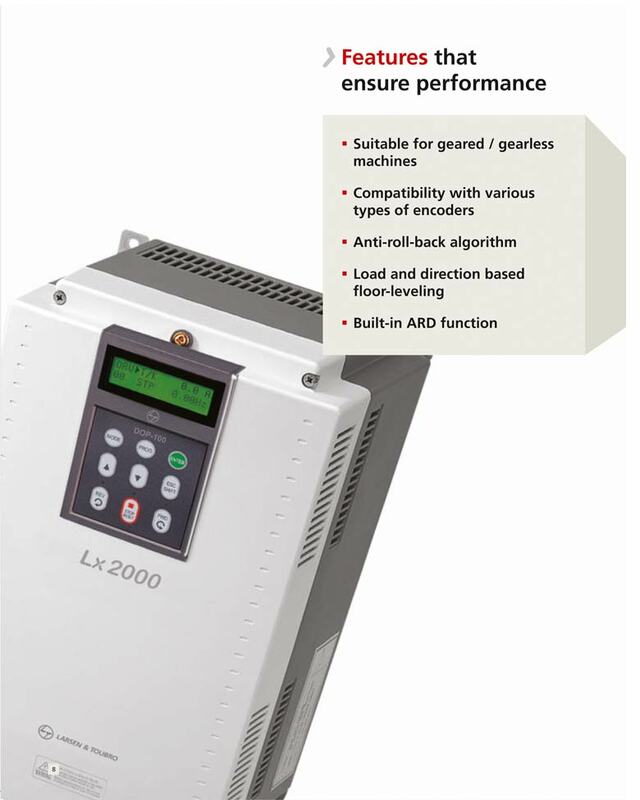 Gearless elevator – PM Motor based.